College bowling is important to Storm. 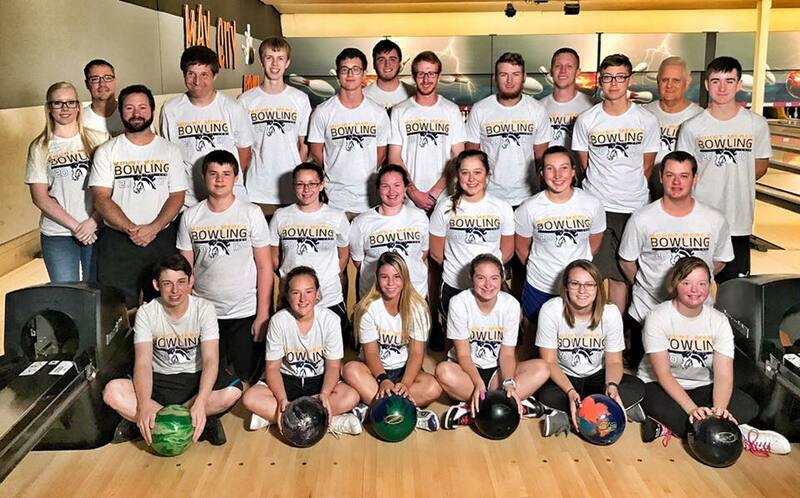 We sponsor several college bowling teams every season and work with the coaches as much as we can to ensure that their bowlers are prepared for tournament season. This preparation starts with student athletes before they are admitted to the school of their choice. Our team at Storm also works with coaches at these camps who use them as an opportunity for scouting prospective players for their program. 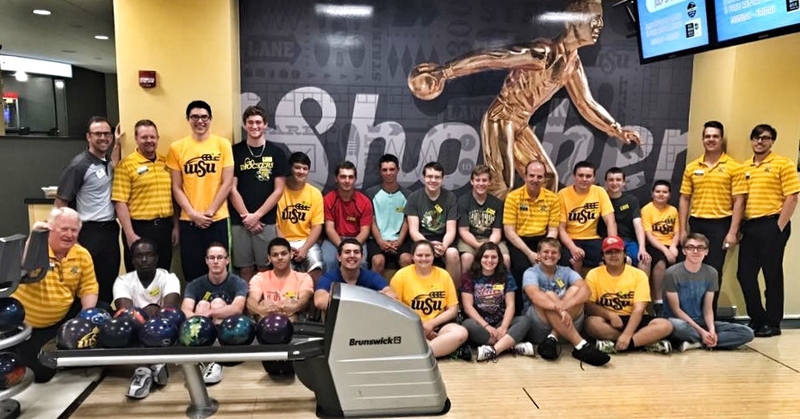 The purpose of Storm’s involvement in collegiate bowling camps is to improve students’ understanding of bowling ball technology, how it shaped the present, and to train students to recognize when certain elements might be appropriate in one environment and not another. Upon completion of the course, students will be primed for an elevated level of the sport through a deepened understanding of the physics and chemistry behind the engineering of a bowling ball. Through this, and other practical applications, the decisions made in the adjustment and arsenal selection process will come easier and will be made with the utmost confidence. These camps seem to grow every year with more and more youth showing interest in competing at the collegiate level. The passion for the game at this level continues to inspire us to teach these student athletes as much as we can in these short sessions. Each camper leaves with a better understanding of the bowling balls that they put into their bags and how to utilize them for tournaments throughout the year. We love seeing the bowlers continue to work hard on what they learn at camp when they go home. Our only stipend is seeing their medals and trophies hoisted on the lanes throughout the season. There is an overlap between games and sports. Generally, sports require some sort of physical effort of specialized skill while games are more organized affairs with rules. The word game has several meanings. You can, for example, play a game of sports, but you can't sport a game. A good example would be if you think of the Olympics. The Olympics are referred to as the Olympic Games yet the game is a competition to collect as many medals as possible by partaking in specific sports. Whether you are a fulltime professional or a weekly leaguer, there’s no refuting that bowling deserves its place on the pillar amongst other sports. A physiological analysis confirms bowling requires strength, cardiovascular endurance, and flexibility to perform in the upper echelons of the competitive scene. Long gone are the days of calling bowling a “pastime.” Cutting-edge knowledge and techniques are being applied to the training protocols of top professionals and Team USA members. Being cognizant of your personal fitness levels can only help propel you to the top of your game as well. Physical activity alone promotes muscle toning and strengthening, weight loss, stress relief, and reduced risk of disease. Depending on your weight, you can burn 200-600 calories per hour of bowling. Not only does bowling favor the aforementioned benefits, it can improve your social life, increase hand-eye coordination, and can be enjoyed at any age. Unlike most sports, the health gains far outweigh the risks for injury. Incorporating strength training, cardio, and stretching into your daily routine will not only make you a better bowler, it will improve your overall quality of life. It’s been noted that Alzheimer’s patients can benefit from bowling because it improves balance and preserves motor skills. Also, repetitive movements like that of bowling may decrease anxiety because patients don’t have to make decisions about the activity. The degree of movement that occurs at a joint is called the range of motion (ROM). The ROM of a particular joint is determined by a number of factors including connective tissue structure, activity level, age, and gender. Range of motion is specific to each joint’s anatomy and the movements required at that joint. Flexibility is a measure of ROM and has static and dynamic components. Static flexibility is the range of possible movement about a joint and its surrounding muscles during a passive movement. Static flexibility requires no voluntary muscle activity; an external force such as gravity, a partner, or a machine provides the force for a stretch. Dynamic flexibility refers to the available ROM during active movements and therefore requires voluntary muscular actions. Stretching should be performed following practice and competition. Post practice stretching facilitates ROM improvements because of increased muscle temperature. It should be performed 5 to 10 minutes after practice. The increased body temperature increases the elastic properties of collagen within muscles and tendons, which allows for a greater stretch magnitude. Post-practice stretching may also decrease muscle soreness. If increased levels of flexibility are required, additional stretching sessions may be needed. In this case, stretching should be preceded by a thorough warm-up to allow for the increase in muscle temperature necessary for effective stretching. This type of stretching can be especially useful as a recovery session on the day after a tournament or league play. Bowling is primarily considered an anaerobic sport, or one that does not place a demand on the cardiovascular system such as running or swimming. It focuses on short bursts of anaerobic power that stress the musculoskeletal system instead of the circulatory and pulmonary systems. During activity, the degree to which aerobic and anaerobic systems contribute to the energy being produced is determined primarily by the intensity and secondarily by the duration. Because a bowling session can last a few hours over the course of several days in most tournaments, training the cardiovascular system is equally as important as training for strength and power. Because bowling is predominantly an anaerobic activity where you don't get sweaty and winded, it may not look, or even feel, like you're exercising. Bowling competitively requires a certain amount of physical prowess from head to toe. Strength training the upper body, core, and lower body is more important now than ever before. Exercises for your upper body you can do at home like push-ups, bicep curls, and dumbbell rows can go a long way for your game. 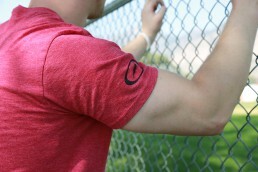 Grip strength is a commonly forgotten area of great importance. Even squeezing a racquetball at your office desk as little as 10 minutes a day can help make that 15lb ball feel several pounds lighter over time. Lunges, squats, and calf raises are excellent strength building exercises for your lower body, but developing your stabilizer muscles via balance and isometric exercises can be a game changer. Prime movers work more efficiently with strong stabilizer, or fixator, muscles. 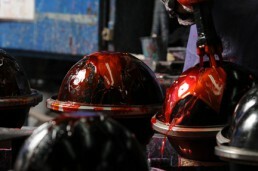 Stabilizers contract, primarily isometrically, to immobilize a limb so that another part of the body can act. For example, the hip flexors are immobilized during knee flexion, and the abdominal muscles serve as stabilizers when the arms rolls a ball. In bowling, when the core muscles act as stabilizers the trunk transmits leg power to the arms, which translates to ball speed. A weak stabilizer inhibits the contraction capacity of the prime movers. Improperly developed stabilizers may hamper the activity of major muscles. The arms and legs are only as strong as the trunk. A poorly developed core is a weak support for hard-working limbs. Strength training programs should first strengthen the core muscle before focusing on the arms and legs.